If you're located in a winter climate our snow & ice guards will forbid the dangerous migration of snow and ice from falling off of your sloped metal roof and injuring people or property down below. Our premium snow guard products, designed in several styles for various metal roof types, are stocked and ready for next day shipment! All of our metal snow guards is individually bagged for maximum protection against scratches during shipment and comes with a 15 year guarantee. Levi’s Snow Defenders stand the test of time for commercial, agricultural and residential building needs. Snow Defender® is our line of high-quality metal roofing snow guards as well as clear polycarbonate snow stops, which are proudly made in the USA. For more information on the following Snow Defender® snow guard types, click on the pictures below. If you have any questions feel free to get in touch with us. Our roof snow guards are made from a clear polycarbonate lexan that is tough and performs well in any climate. 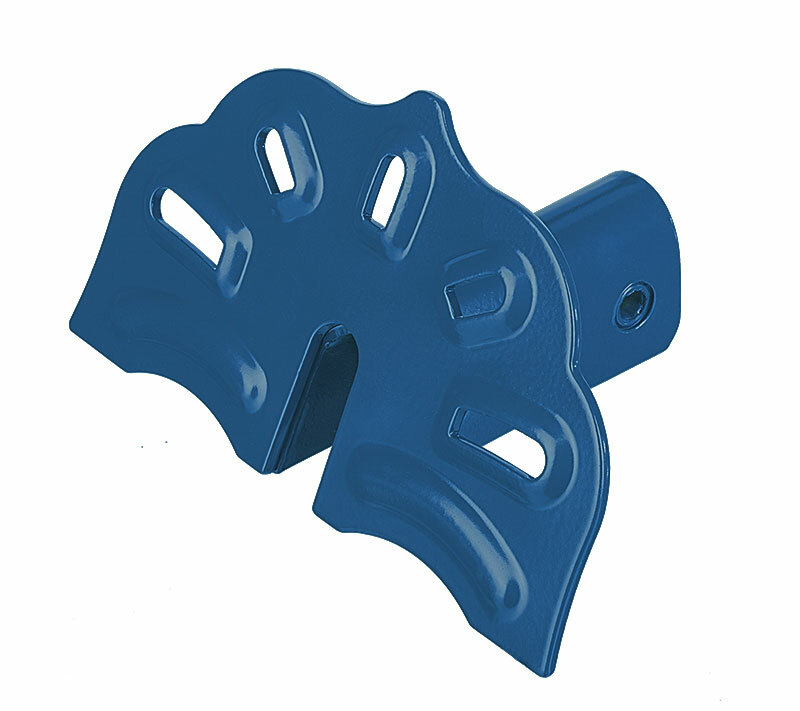 Polycarbonate snow guards or heavy duty Buster™ snow guards can be used as a mounting solution for metal panels with screws and adhesive or just with adhesive for metal panels that cannot accept through fasteners. Our patented clear polycarbonate line also becomes practically invisible on your roof! The friendly and knowledgeable staff at Levi's Building Components are ready to help you with ice guard quantity and placement recommendations based on your metal roof measurements, so give us a call today. If you're looking for more metal roofing materials to assist with your roofing job, check out the other accessories we offer. Levi's Building Components Snow Defender® snow guards are available in the powder coat color of your choice. Each ice guard is tumbled in ceramic granules to give it a surface texture for better powder coat adhesion. Our super durable powders offer excellent fade resistance and long-term color and gloss retention. We offer a plethora of powder coating colors to ensure our snow stops will match a wide range of metal roof colors. Color options shown below are for the 55RF, 1500, 4500 and 6500 Snow Defender models.